I saw the photo below of Cam Newton on Facebook a few minutes ago. 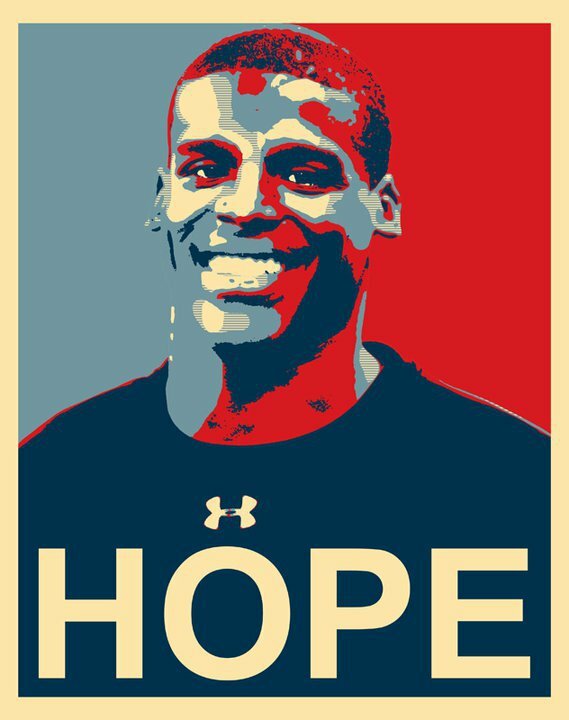 It's an Obama-inspired image that sums up what Cam has brought to Carolina Panthers fans--hope--after his rookie record-setting 422 yards passing last Sunday. Fans should pace themselves, though, because the NFL is a tough league and this is the start of a long season. 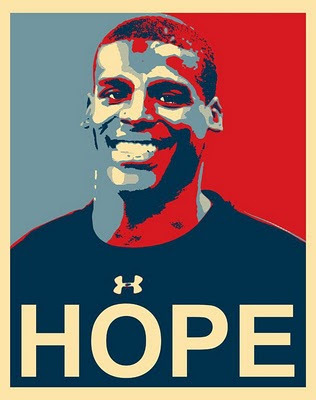 Still, it's great to be excited about the Panthers again, and Cam seems determined to make believers out of doubters. I'm certainly rooting for him. In this Panthers Huddle video from panthers.com, Cam discusses some of his technique, which he'll need to be keen with Sunday against the Green Bay Packers at Bank of America Stadium (1 p.m. on FOX).